Recently, an iPhone app that measures breathing rate and cardiac rate was developed and it becomes more and more popular. The developer utilizes the iPhone’s built-in video camera to monitor cardiac rate. Patients can just use iPhones to monitor their health conditions without doctors at any time. Many doctors praise this iPhone app for its excellent practicability. It can transmit an accurate signal about vital sign of a patient as the professional medical equipment can. Details of the new technology are reported in the paper “Physiological Parameter Monitoring from Optical Recordings with a Mobile Phone,” published online, in advance of print, by the journal IEEE Transactions on Biomedical Engineering. This app provides patients with great conveniences. Patients don’t need to take extra medical equipments anywhere. They just take their iPhones and use the apps to detect their vital sign at all times. One of the advantages of mobile phone monitoring is that it allows patients to make baseline measurements at any time, building a database that could allow for improved detection of disease states. This app’s primary developer is Chon who is a specialist in signal processing. He is very famous in his own field for creating the algorithms that can detect patients’ vital signs by utilizing common medical equipments. In order to develop this app, he developed and optimized the algorithm to let the app collect the accurate data by iPhone’s built-in camera. As the camera’s light penetrates the skin, it reflects off of pulsing blood in the finger; the application is able to correlate subtle shifts in the color of the reflected light with changes in the patient’s vital signs. There are a few colleagues participating this app development including Yitzhak Mendelson, associate professor of biomedical engineering, Domhnull Granquist-Fraser, assistant professor of biomedical engineering, and doctoral student Christopher Scully. In order to verify the data accuracy, they utilize the standard medical devices to detect different kinds of experiment contents, such as breathing rate, cardiac rate, beating of the arteries and blood oxygen. At the same time, a group of people use mobile phone to test the same experiment contents. While all devices were recording, the volunteers went through a series of breathing exercises while their vital signs were captured. Subsequent analysis of the data showed that Chon’s new smart phone monitor was as accurate as the traditional devices. While this study was done on a Droid, Chon said the technology is easily adaptable to most smart phones with an embedded video camera. 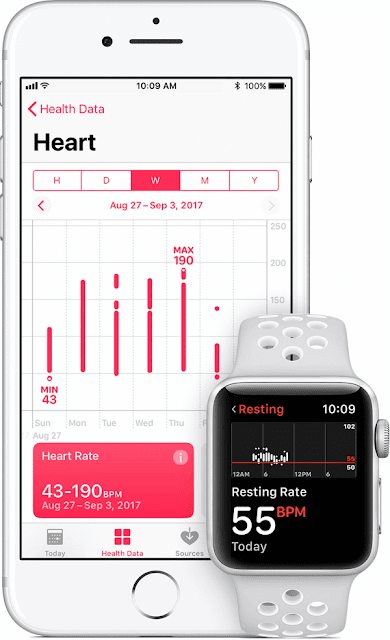 In addition to that, Chon has a plan to develop another iPhone app to monitor atrial fibrillation because ventricular arrhythmia is the most obvious symptom of atrial fibrillation and the app that monitor cardiac rate inspired him. “We are developing that application now, and we have started a preliminary clinical study with colleagues at UMassMedicalSchool to use the smart phone to detect atrial fibrillation,” Chon said. This excellent app has no iPad version and they are doing their best to develop and optimize it for iPad. We believe patients can detect beating of the arteries by iPad in a few days. They have applied to patents for this iPhone app. “Imagine a technician in a nursing home who is able to go into a patient’s room, place the patient’s finger on the camera of a tablet, and in that one step capture all their vital signs,” Chon said.